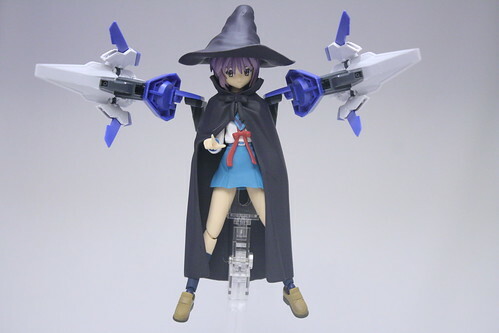 Next up we have 00 Rizer Nagato. 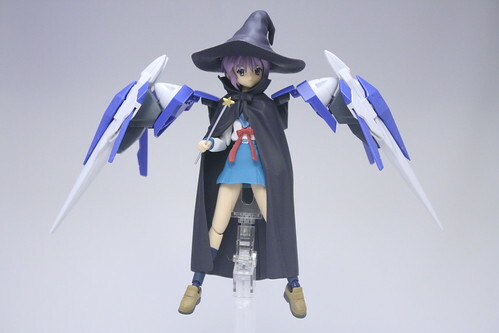 Obviously, this will be her next upgrade in the comic. 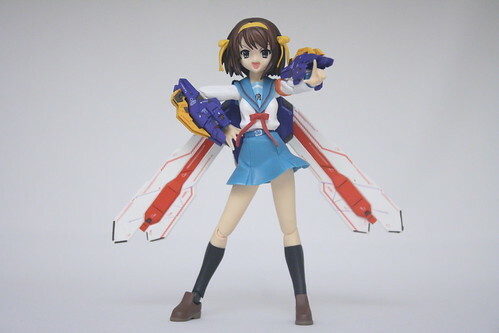 Lastly we have God Haruhi. I’m still up in the air as to what her upgrade will be. 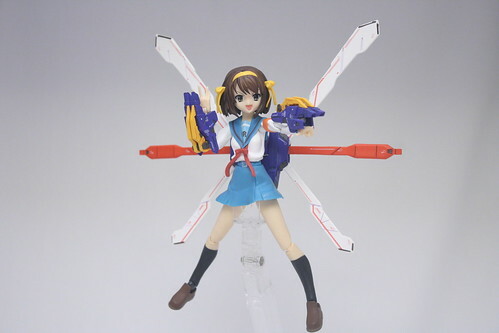 Part of me wants to go GN Arms since Chouyuusha Haruhi is already equipped to it, the other part wants to cannibalize other gunpla parts to see what amalgamation I can come up with XD Anyone have any ideas? Any ideas for future figma theaters? I’ll give you credit for them ^^ Of course, I need to have the parts for the combination available to me, or I’ll have to get it first ;) Please look forward to it!!! 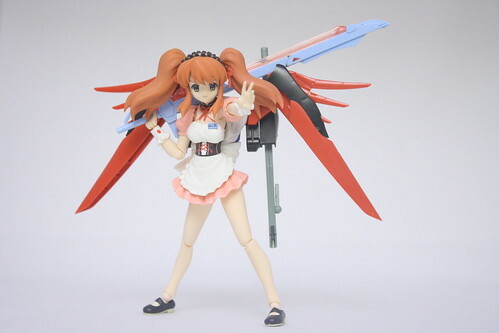 Figmas and Gundams …. Hrmm, can’t believe I haven’t added you to blogroll yet. Let’s swap! 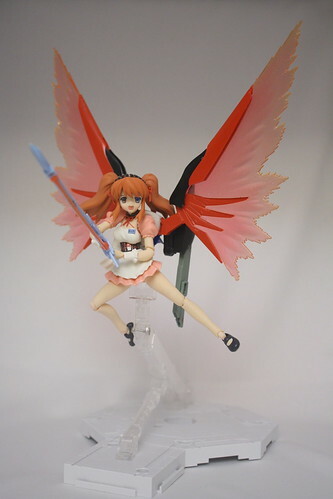 I’m looking forward to the figma theaters. 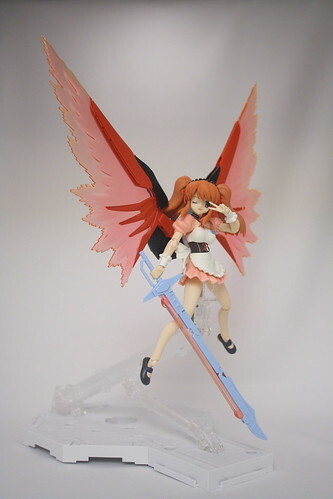 I thought you had abandoned the White Devil vs SOS girls figma theater. Makes me so happy it turned out other wise. 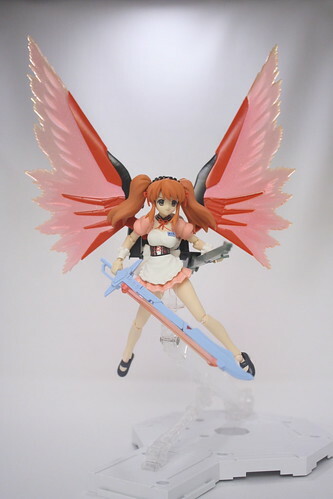 I didn’t realize how epic Mikuru looked until now. I definitely wouldn’t want to mess with her, lol. Will be looking forward to it!